Is there any workaround to screen issue in MK Deception? It looks like the image below. However it still looks like the image above. Any help will be appreciated. Thanks. Try using an custom resolution and check whether the problem persists. Yeah, this game had some problems with the native scaling resolutions. For unknown reasons, having a custom internal resolution fixes it. 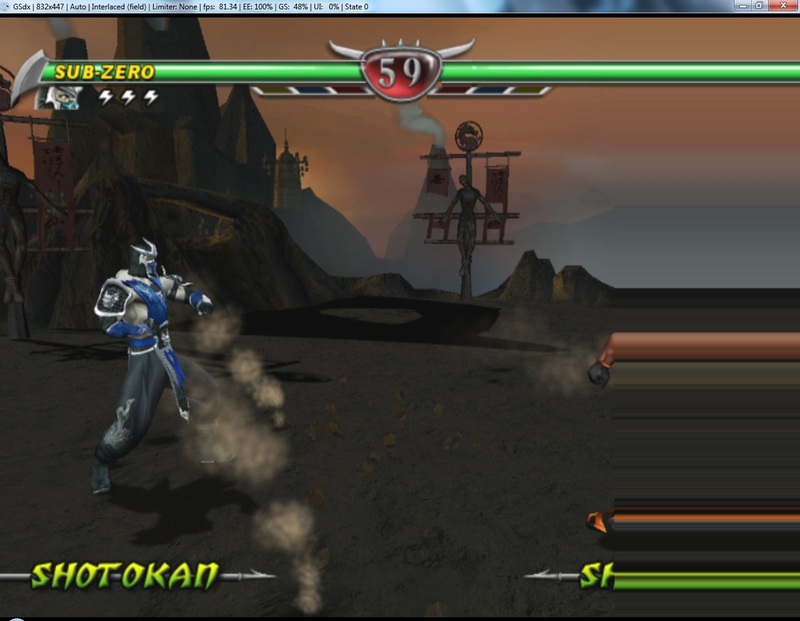 (04-06-2015, 08:11 PM)ssakash Wrote: Yeah, this game had some problems with the native scaling resolutions. For unknown reasons, having a custom internal resolution fixes it. Would the problem persist if you set the resolution to, say three times the native resolution (1920x1344)? I don't mean auto-native scaling, I mean actually setting the custom res to that. The native resolution for the games are not always same , they are different for most games. Custom resolution just sets the desired resolution without taking the native resolution into consideration. (04-06-2015, 08:22 PM)ssakash Wrote: The native resolution for the games are not always same , they are different for most games. Custom resolution just sets the desired resolution without taking the native resolution into consideration. Nyeh, you're probably right. Not many games ran at 640x448, did they?